And I remembered my acquaintance with this cool holiday in one of my first visits to the United States 15-18 years ago. I happened to be on that day in New York with my Saint-Petersburg friends who lived in Manhattan at that time. I had no idea about Saint-Patrick’s Day. On March 17 my friends announced that we would go to the most famous Irish pub in New York to celebrate St. Patrick’s Day. I tried to resist, saying that I wasn’t a big beer drinker, and it would be better to go to a Chinese restaurant. Fortunately, no one listened to me, and friends said: ” Julia, to go to Chinese place today is a crime. Put on the green. We’ll go to pub. This is a must see event! “. In that evening we somehow squeezed into the screaming and dancing room and joined the party. I won’t bother you with a lot of details of that night. I’ll just say that the celebration made a very strong impression on me. The most amazing thing was that people not just consumed a lot of drinks, which itself would not be very surprising, but also had a lot of FUN. 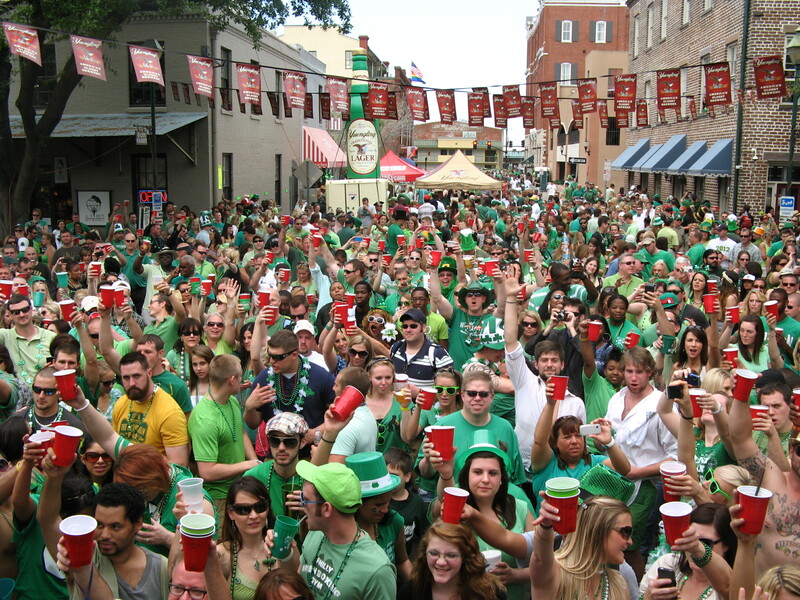 Colorful screaming crowd; tall, red haired girls with impressive legs performed Irish dances… I remember that we crawled out of the pub in the morning, weakly supporting each other, and the Irish still cheerfully jumped on the tables like stallions, shaking the walls of the bar. I thought that if someone else tells me that Russians drink a lot, I’d just send them to this pub for more reliable information. Posted on March 18, 2014 October 23, 2014 by YuliaPosted in culture shock, It's cultural, Moving to a different country, multicultural marriageTagged American holiday, St-Patric Day.